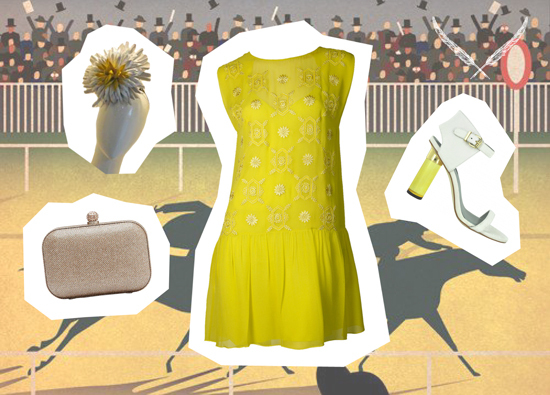 Yesterday we brought you the first of our Spring Racing Series, a guide to Derby Day, and boy, did you lap it up! It seems Melbourne's love for the Spring Racing Carnival is endless and we don't blame you – with all this fun and frivolity, it's hard to stay away. First run in 1861, the Melbourne Cup is the pinnacle of the Spring Racing Carnival: a race that people really will stop in their tracks to watch! I kid you not – one year, while checking in for a flight, I convinced the attendant to let me behind the counter to watch the race on the little TV she had set up. What can I say; I really wanted to see who won! That, and I had money placed on a certain horse (pretty sure it came last). The Melbourne Cup, run over 3200m, attracts horses and trainers from around the world, all chasing the $6.2 million dollar prize. There really is nothing like the Melbourne Cup – the atmosphere, the sights and the quality of horse racing can't be beat. The fashion at the Melbourne Cup is the complete opposite of Derby Day – whereas black and white is encouraged for the Derby, the Cup is all about COLOUR! Considered to be the day for ladies to go all out, the Melbourne Cup is a riot of colour, prints and touches of flamboyance. Want to wear that bright colour you've been dreaming of? Go for it. 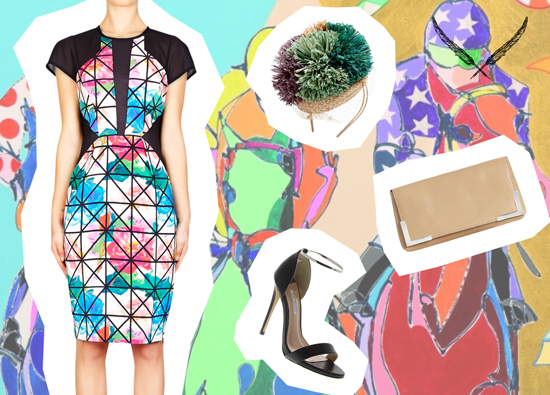 Thinking of trying clashing prints? Now's your chance. And fellas, don't forget a yellow rose on the lapel of your ever-so-smart suit. 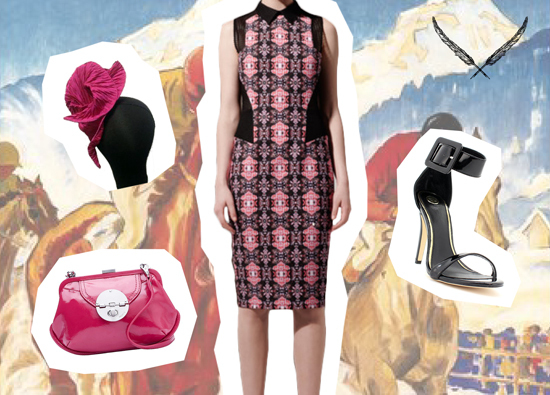 Not sure what to wear for the Emirates Melbourne Cup? Check out these bright and bold ideas. Dress: Scanlan Theodore, Headpiece: Kerrie Stanley, Clutch: Mimco and Heels: Zu Shoes. 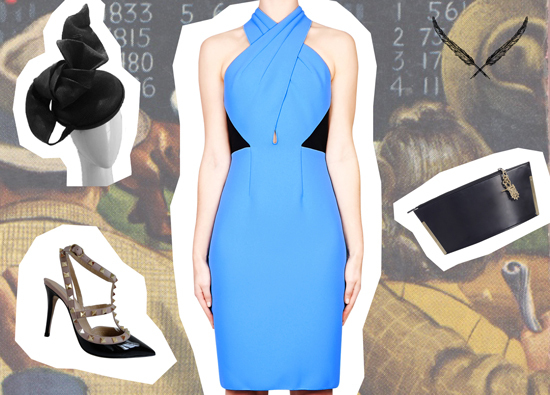 Dress: Megan Park, Headpiece: Jill & Jack, Clutch: Mimco and Heels: Senso. Dress: Dion Lee from Green With Envy, Headpiece: Jill & Jack, Clutch: Zimmermann and Heels: Valentino from Miss Louise. Dress: Ginger & Smart from Green With Envy, Headpiece: Mimco, Clutch: Zimmermann and Heels: Tony Bianco. If you're not making the trip to Flemington to watch the race in person, don't despair! You can still dress up and head to any one of these venues come Melbourne Cup day.